Montgomery Parks is the natural choice for your special day; our distinctive venues will provide a beautiful setting for your wedding. Celebrate outdoors in an intimate gazebo, fragrant garden or on an expansive lawn. Dine and dance in one of our handsomely-appointed reception rooms. 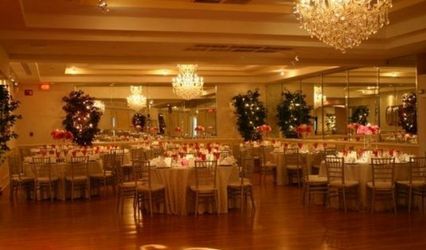 Whether set at Rockwood Manor, Seneca Lodge or Woodlawn Manor, your event will be unforgettable, naturally. All venues provide ample parking, tables and chairs, as well as kitchens for your caterer of choice. Learn more details about each venue's accommodations below. 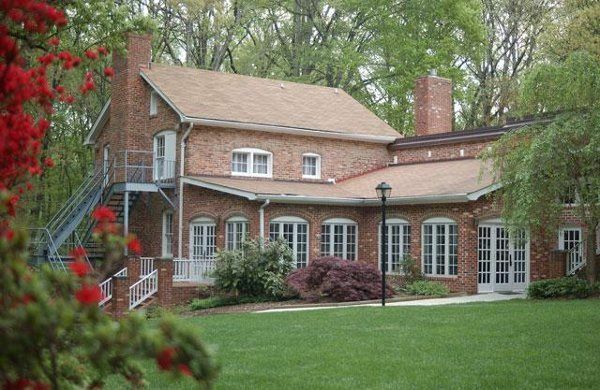 For tours or to make reservations, call 301-299-5026 or email eventcenters@montgomeryparks.org. Also, please visit our website at www.parkeventcenters.com. 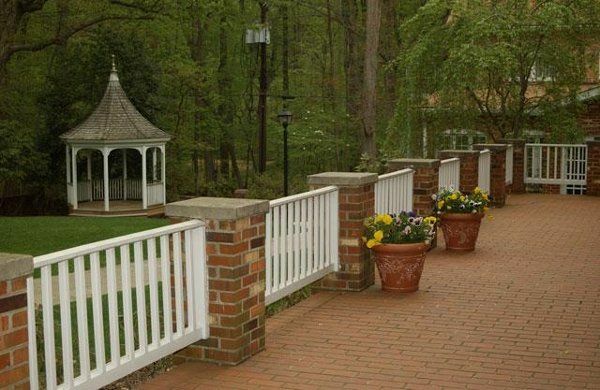 Its naturally secluded beauty and central location makes Rockwood the perfect setting for your wedding. 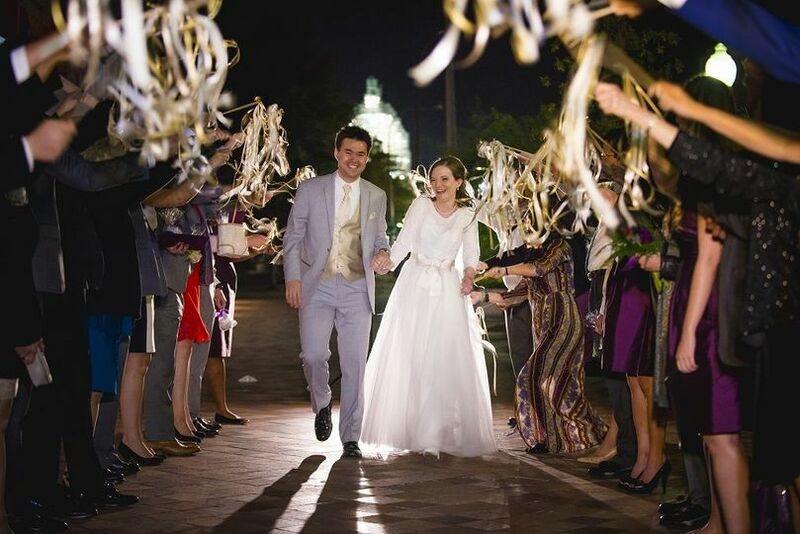 Marry in the garden gazebo or on the flagstone patio under the trees, and then continue the celebration on the terrace, or inside the lovely Manor house. Entertain up to 130 guests (200 with a tent) in and around Rockwood. Overnight accommodations makes Rockwood perfect for a destination/retreat wedding. Two kitchens - one full-service and one serving -- are available. Handicapped accessible. Social Packages start at $1,900 for 8 hours. Half price for off-season (January - March). 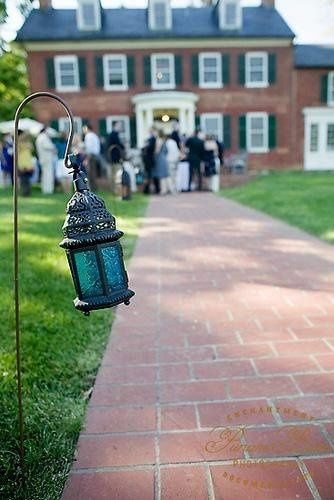 Historic Woodlawn Manor is an idyllic setting for your wedding, with horses grazing on acres of rolling green pasture, beautiful gardens, picturesque gazebo and historic stone barn. Enjoy an intimate gathering in or near this Georgian-style house, its garden gazebo or stone barn or a larger gathering of up to 250 under a tent on its landscaped lawn. Catering kitchen is available. Social packages start at $1000 for 8 hours. Half price for off-season (January - March). This classic log cabin with soaring ceilings and towering stone fireplace seats 120 guests. Two terraced wooden decks lead down to Seneca Lodge's expansive lawn which can accommodate a tented event for up to 300 guests (and an impromptu football game). Catering kitchen is available. Handicapped accessible. Social packages start at $1600 for 8 hours. Half price for off-season (January - March). 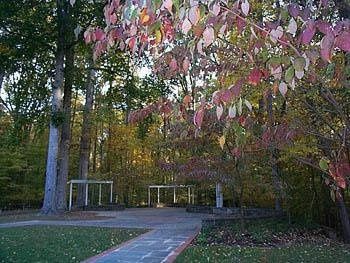 The Manor&apos;s flagstone terrace is nestled in the woods, draped in a canopy of trees. 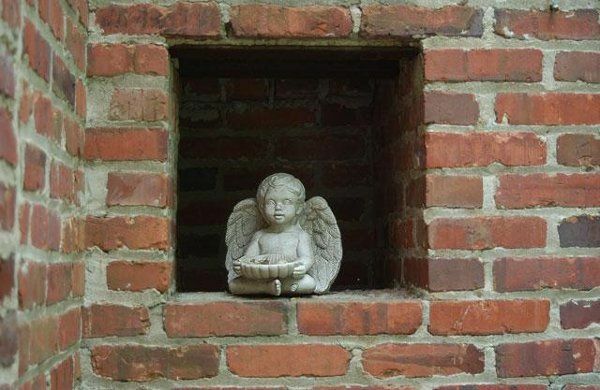 A stone cherub tucked into a nook off the Manor&apos;s terrace. The Rockwood Manor House built in 1920 is set in 30 acres of woodlands in Potomac, Maryland. 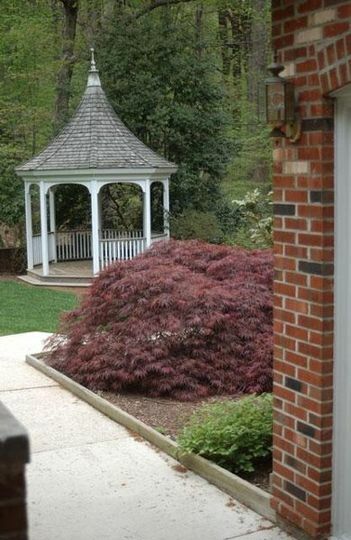 A view of the gazebo and beautiful gardens from the Manor&apos;s terrace. A view of the gazebo and the Manor House. 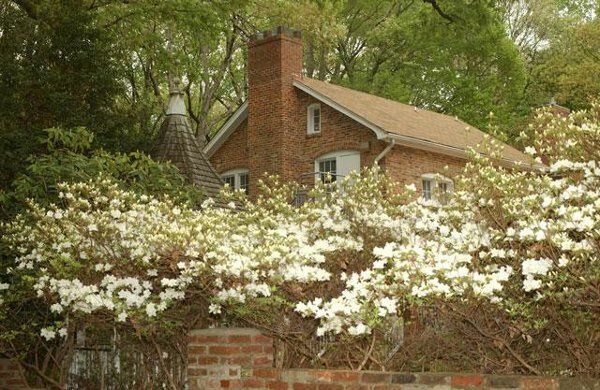 The Rockwood Manor boasts beautiful gardens and woods. 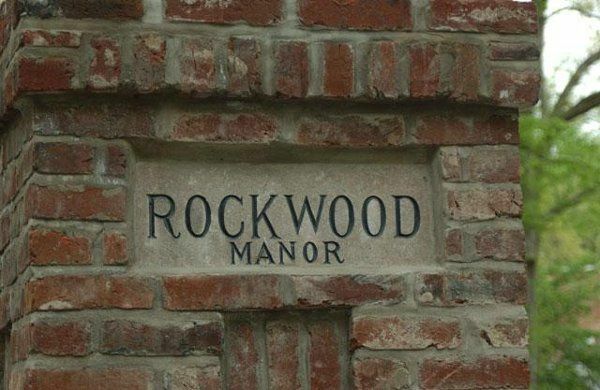 The stately entrance to Rockwood Manor. Gazebo at Woodlawn Manor at Andrew & Nole&apos;s wedding. Photo taken by Punam Bean. Horses grazing on pastures surrounding Woodlawn Manor. Photo by Punam Bean. Andrew & Nole go for a post-ceremony walk on the grounds of Woodlawn Park. Photo by Punam Bean. Rockwood Manor was the PERFECT venue for our wedding. We chose the three-day resort package, which meant we had access to the manor as well as all the lodging areas throughout the weekend. My entire family was able to sleep in the hotel-style cottages, and guests who didn't want to drive home after the wedding crashed in the cabins on Saturday night. We also were able to use the manor house for the rehearsal dinner on Friday, as well as a Sunday breakfast for those who stayed on-site. For all the was included, the pricing for this facility was very reasonable! Our ceremony was outdoors on the terrace, and the wooded backdrop was gorgeous. We took advantage of the fine fall weather and did cocktail hour outside as well. We served dinner downstairs in Brooke Hall and the Great Falls rooms, which accommodated our 135 guests just fine. After-dinner dancing and cake happened in the Rapidian Room and adjacent upstairs rooms. The different areas of the house worked really well for all our wedding activities. And later in the evening, we lit a fire in the campfire ring, which everyone loved! Leading up to the wedding, I always had an easy time getting staff on the phone (usually Marsha and Rob) to answer any questions and coordinate any details, and the staff on-site on the weekend of the wedding were great (Donelle and Tina). I really appreciated the fact that they were there to help when we needed it, but I never felt like they were breathing down our necks. For us, seriously, this was the PERFECT venue! 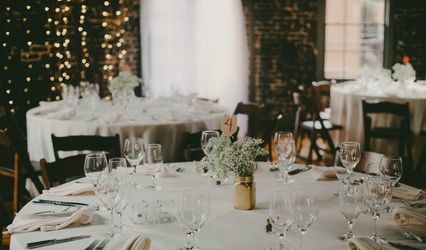 I have worked at all 3 of these venues, and I feel they offer a lot to couples looking for a unique place for their wedding. 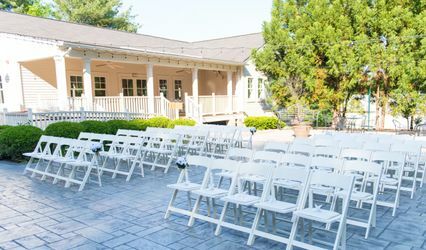 Rockwood is a large venue that offers complete climate controlled comfort for your ceremony and reception, if desired. 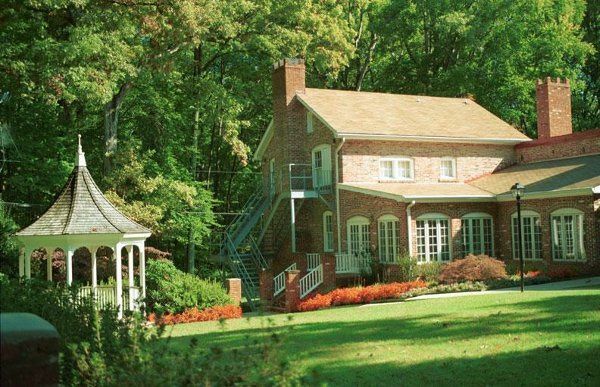 Woodlawn is a wonderful property with sprawling lawns perfect for a gorgeous white tent. And The Lodge is a rustic venue with gorgeous views for an outdoor ceremony. All three include some sort of tables and chairs, which can save you a little bit of money on rentals too!